This South African native is known for its ability to thrive in a variety of tough growing conditions. 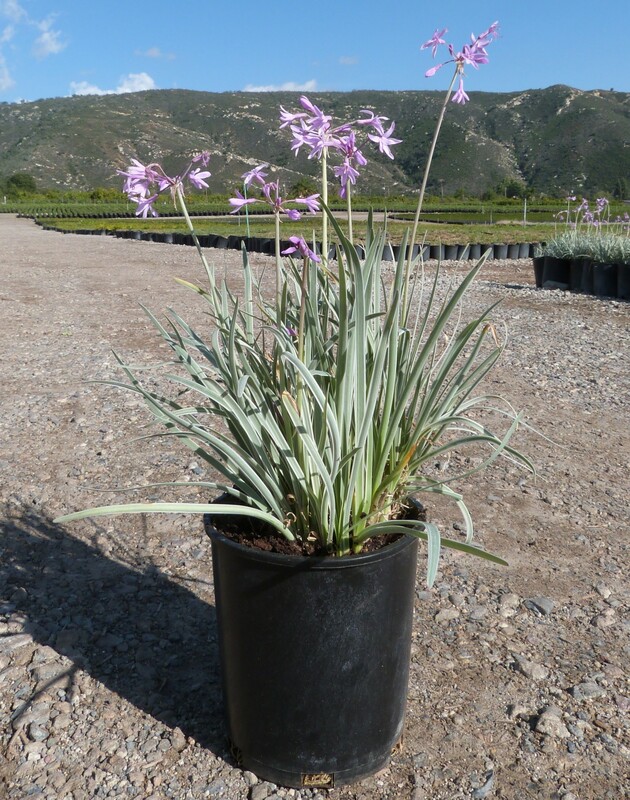 This clumping perennial has grass-like foliage and tall clusters of lavender flowers. ‘Silver Lace’ offers variegated foliage; the leaves are striped creamy-white from top to bottom. The variegation gives the foliage a silver tone, providing nice foliage contrast in the landscape. When crushed, leaves have a strong garlic fragrance. Plants have a long blooming period, with flowers emerging continuously from spring through fall. This is an easy to grow perennial that works as part of a mixed border, mass planting or even as a container specimen. If foliage becomes unsightly, plants can be cut all the way back to the crown to allow new foliage to re-emerge. Plants thrive in full sun locations and are adaptable to different watering levels. While they can tolerate hot, dry conditions, they’ll also tolerate wet spots or even along the wet edges of a pond. An excellent perennial for low-maintenance and low-water gardens.